You must make reservations at least 5 minutes in advance of the time at Scarlet's Steaks and Seafood. With a menu that is crafted from Chef Anthony Rametta’s 29 years of experience, Scarlet’s Steaks & Seafood offers mouthwatering cuisine complemented by sultry décor, dark woods and luxe leather booths. A sense of familiarity and sophistication, impeccable table side service and an ambience which instantly sets a luxurious tone; you cannot resist soaking up the fine dining, family atmosphere Scarlet’s Steaks & Seafood prides itself on. 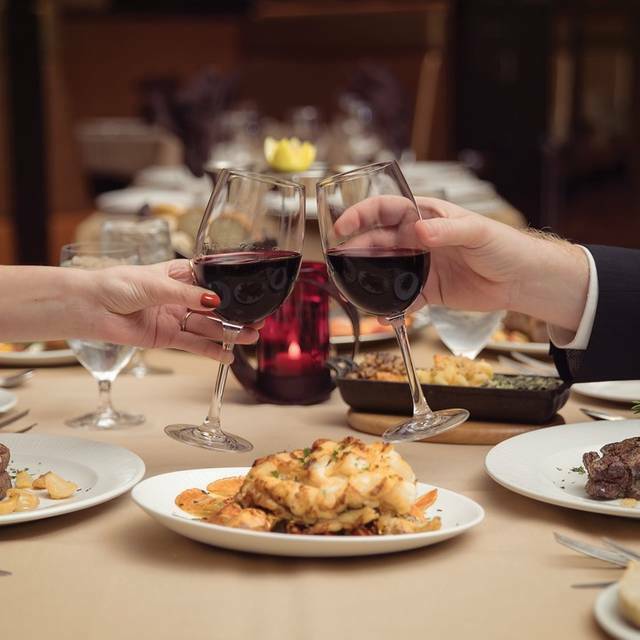 Rametta’s exquisite steak and seafood specialties are paired with renowned steakhouse sides, elegant desserts and Scarlet Pearl’s signature customer service, resulting in a refined menu that makes for steakhouse dining at its finest. On Fridays and Saturdays, listen to the soulful sounds of Jesse Hill, whose smooth, pitch perfect vocals make Scarlet’s Steaks & Seafood a delight to all senses. Scarlet's proudly serves Halpern's USDA 1855 certified premium prime Black Angus Beef from Grand Island, Nebraska. 100 day minimum on feed, wet aged for a minimum of 28 days for optimal flavor. "Marbled abundantly for layers of buttery beef flavors"
The food,entertainment, and service was great. The waiter ( Steven ) is the best. Friendly and makes your dinning experience supper great. The restaurant was great. The staff was enjoyable and fun. The filet was the best I had. Everything was perfect. This was our first stay and we enjoyed every minute. This is the place we will stay every time we visit Biloxi. We love coming to Scarlet’s for the Jazz Brunch. 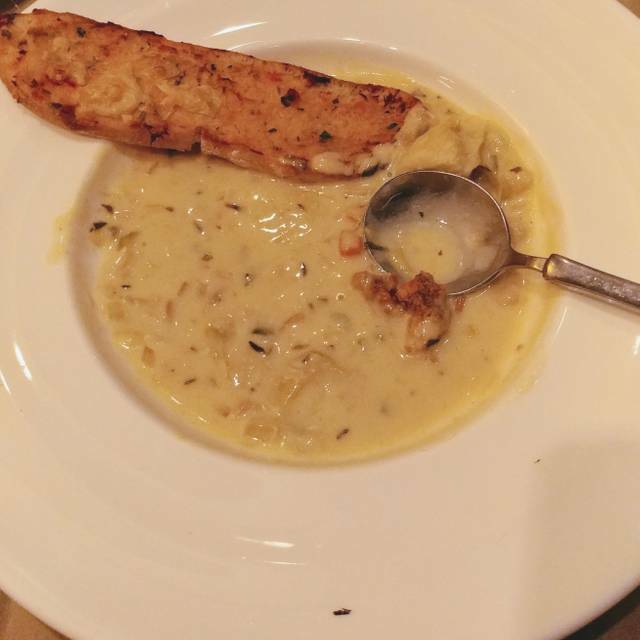 The food, atmosphere, and service are all amazing. We also love listening to Jesse Hill sing, his voice is amazing. 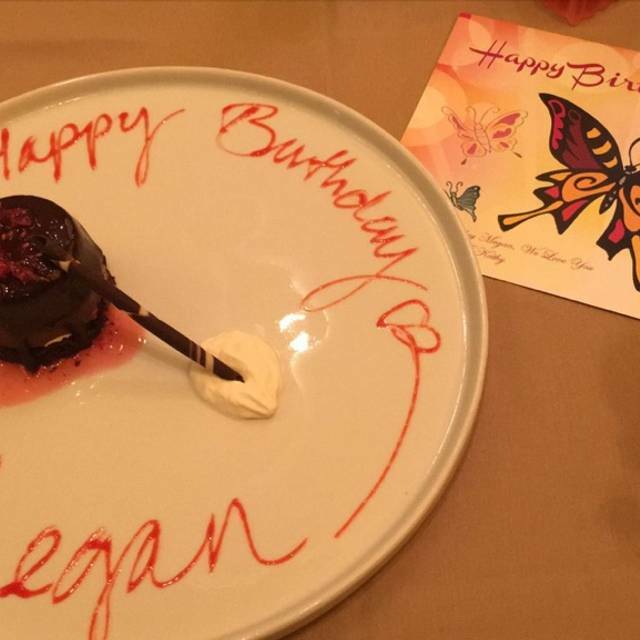 Thank you for another great birthday! 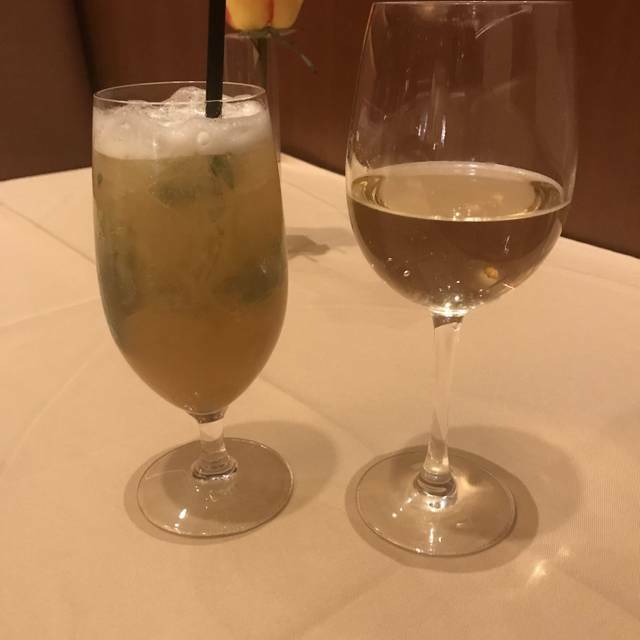 I dinned at the Scarlet Pearl Steakhouse Sat night with my family and had the best experience in dinning. I would recommend it to every one that enjoys fine dinning. The food was unbelievable tasty, the entertainment was great, and the service ( Steve ) was fantastic. This was the best experience in dinning I and my family had in along time. Hat off to all that gave us such an enjoyable evening. The overall experience at the Scarlet Steakhouse was outstanding. Butler's Bar was great and the two bartenders Josh and Max were both outstanding and knowlegdeable. The Scarlet Steakhouse the Server and the Supervisor Laura really made our dinner enjoyable and great. Jazz Brunch !! Very nice. Food and atmosphere was fantastic. Music by Jessie always a pleasure. The food was great, as always, the service was exceptional form host Delores, to severs David & Nathan, which were the severs on 3/6 & 3/7 respectively. We had the most outstanding server the right earnest the best service we've ever his name was David. I need to go back to the Scarlet just have him be my server again. Food was excellent, margaritas excellent, and the music. Will return. 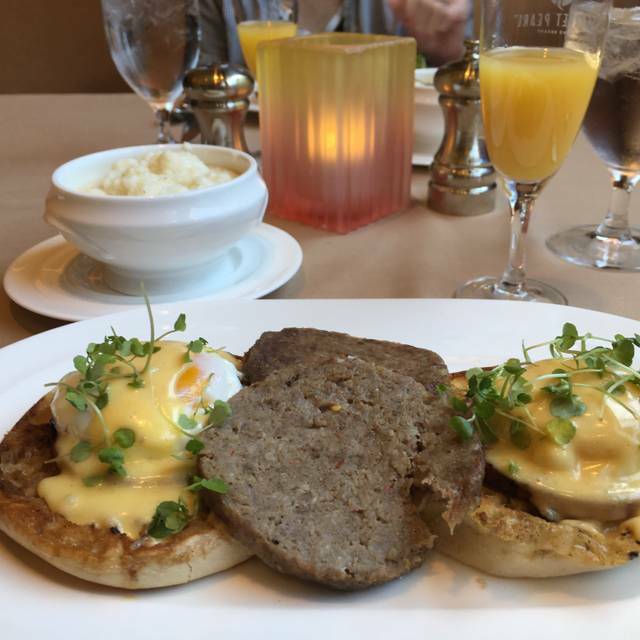 We always enjoy the Jazz Brunch. Great food and atmosphere! Fair priced meal, a deal if you enjoy a cocktail with your brunch! Jazz performer sounded good. Several tasty menu items to choose from. Will definitely eat here again! Dinner was Fantastic. Our server was great. The background music was wonderful. Had an enjoyable belated Valentines Dinner. Thanks again. 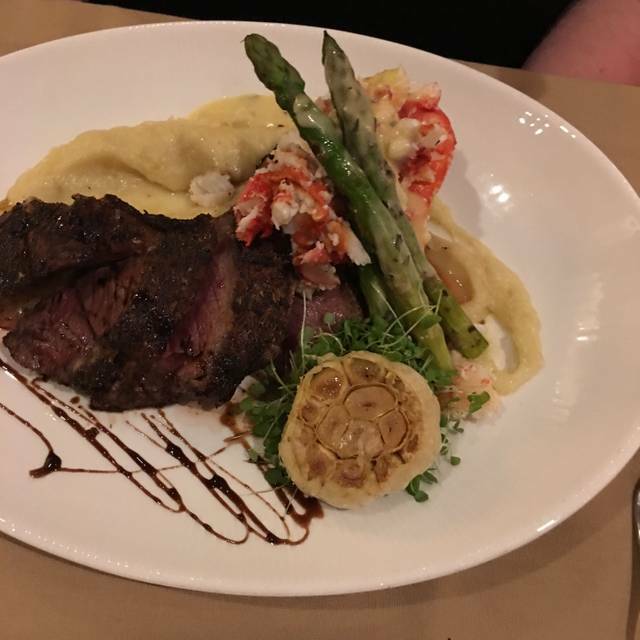 We have always loved Scarlet's Steaks and Seafood and know we can count on it for great and innovative food and the best service, which is why we go there as often as we do. This is the second time we have gone for the special Valentine's Day meal, and once again they did not disappoint! We have decided this is going to be our Valentine tradition from here on out. Always enjoy dinning at the Pearl. Great service, great food, and we really enjoy the entertainment. It was first experience with Chateaubriand and it was so good. 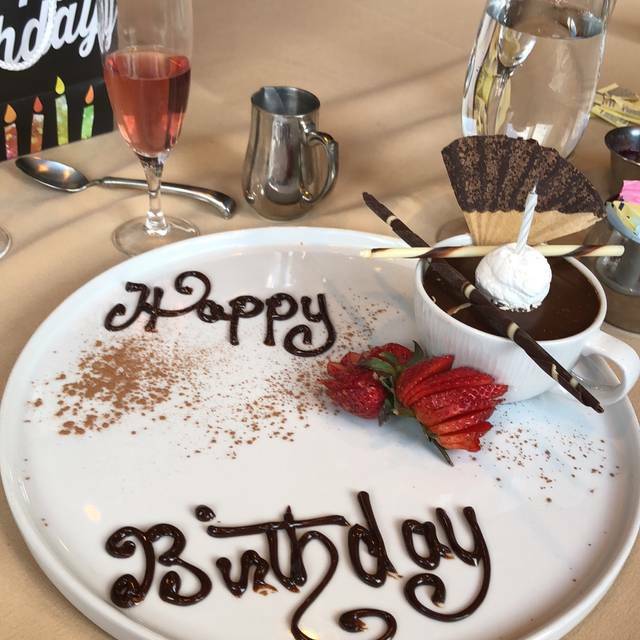 Our server, Mr. Steve, was just delightful making our anniversary excellent. Great all around experience. I would strongly recommend this restaurant. great place to eat and relax. food and service was top notch. the prime ribeye steak was so tender and juicy. also had great waiter and staff. Far better than expected. Great meal ! The food was better than excellent and we had a great table. Nathan, our server, was very professional, courteous, and personable. All in all, it was a great dining experience and we will definitely be returning. We went for the Valentine special. The food was not to our liking. Appetizer: The seafood on the tray was not what seafood should be on our gulf coast. It had an off taste. We ordered the steak medium, but the steak came to the table overcooked. Not good. When you like your steak medium, anything over that makes the taste of the steak unacceptable. Service was not just slow but very slow. We were the first people in the restaurant for the first setting of the night. After being there for 90 plus minutes, when the server, Nathan, finally came back around, we told him we wanted our dessert to go. Finally, two hours later we left the restaurant. This is way too long for people with bad backs to sit. After we returned to our room, we sat down to enjoy our dessert. Cake was dry and strawberries were over ripped. So disappointed. Lastly, your accounting with all the charges is very confusing considering we paid in advance. On a good note, the room was nice except we only have one regular coffee and one decaf with only one package of extras. We are both regular coffee drinkers and both need sugar. Not enough of either to have a good cup of coffee for both of us. Very disappointing for our Valentine, Birthday, and Wedding Anniversary date. Best entertainment by Jesse Hill. His music creates the desired ambiance which makes everything better! Great team of staff and management. 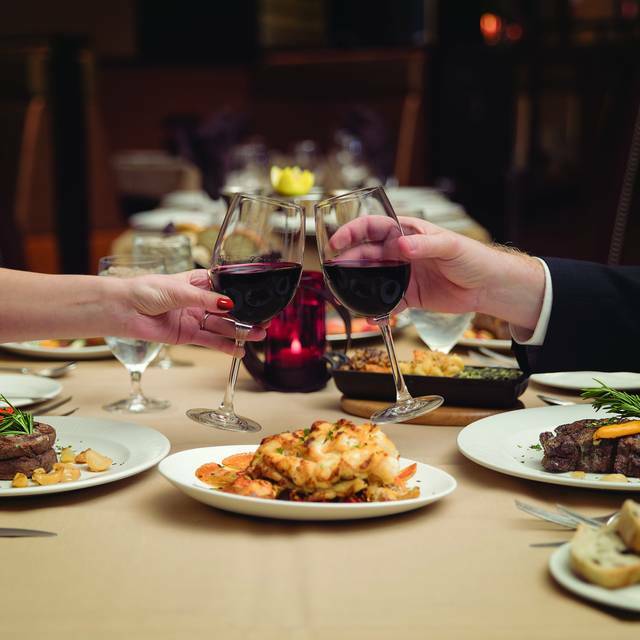 Their Southern Hospitality adds a touch of familial warmth to fine dining. Steak was rare and plate was cold even though I ordered medium plus. After sending back to the grill, it was perfectly cooked and hot. We love dining here but, allow 2 hours for dinner. Overall this is a great place to eat with friends. I had the 8 oz. 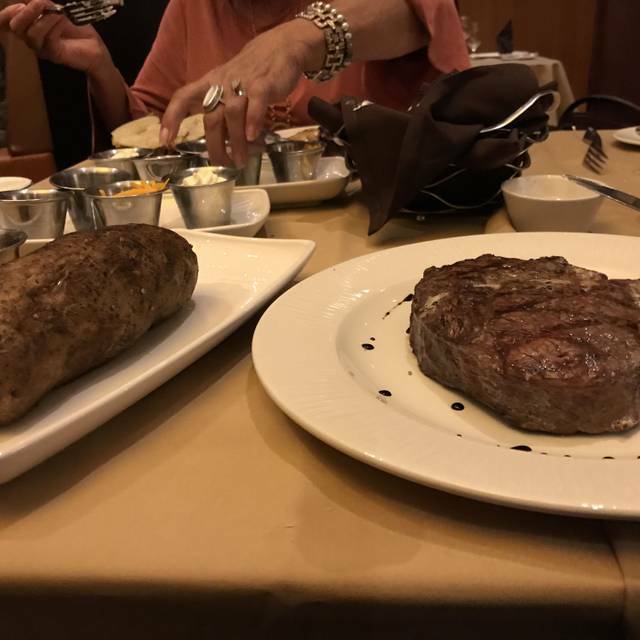 filet with a twice baked potato and my husband had the prime rib with a baked potato. All was cooked to perfection and the service was outstanding. This was our second visit to Scarlett’s and were very impressed on both occasions. We will definitely return. The food was great. Very nice atmosphere. We highly recommend David as your waiter! Our steaks melted in our mouths, they were perfectly seasoned and picture perfect. The twice baked potato was delicious,but next time we come we will split one. The waiter,Scotty was attentive ,knowledgable about the menu, and very friendly. We are always greeted by our name by Danny and Lauren and feel right at home. Jesse Hill makes our dining experience a completely romantic experience. Amazing everything. I highly recommend this place. The value is outstanding! awesome food great atmosphere. would highly recommend to friends! Filet was way over cooked (ordered medium) oysters room temperature and we waited 45 minutes just for entree after ordering. I'm a young 70 years old, and always order ribeye when having steak, and as the son of a butcher know a little about meat. Ribeye is probably the most difficult steak to ruin; because a good ribeye has that beautiful fat marbling, which also makes it juicy. Scarlet's ribeye was dry and tough...the worst steak, of any cut, I've ever had; I cannot believe they served such a steak. Unfortunately, while the service was spot on, and the restaurant nice, ultimately the food dragged the overall rating down. Steak was ok. Everything else was below average. The service was not what you would expect from a upscale restaurant. Scarlet is a steak and seafood restaurant however the steaks were ordered as medium but were served medium rare. After being returned they were again served under cooked and dry. The manager was apologetic and did cover the appetizers and wine that were served however we left without eating a main course. Service was excellent and the restaurant is very nicely decorated. I would however not recommend it due to the issues we experienced. The food was over cooked and overly seasoned (too salty). The food was overpriced compared to comparable restaurants. I will not go back. Sunday’s Jazz Brunch was incredible. Most customers were being seated Away from entertainment. On my next visit I will asked to be seated closer.